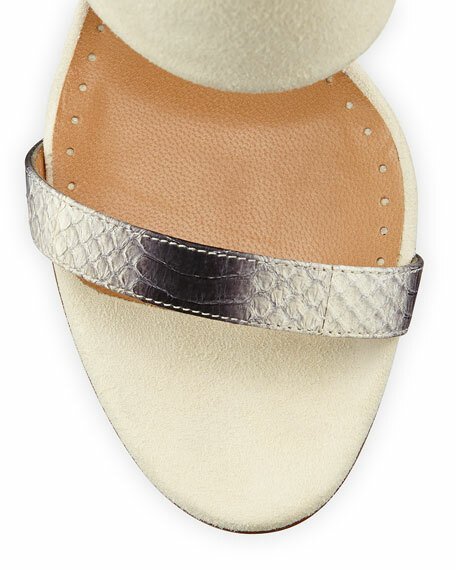 Thin snake-print leather toe band. "Cyaniris" is made in Italy. Alexa Wagner's eponymous line of women's shoes is defined by chic, edgy designs and superior Italian craftsmanship. Says Alexa, "Shoes are so powerful; they can change your mood and behavior in one second!"